Pezzoli Art Original Artworks by Marjorie Pezzoli & Gary Pezzoli. We work with Individuals, Interior Designers and Architects. from their studios. 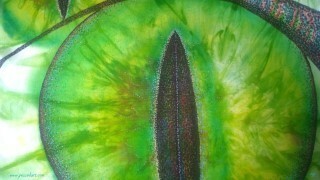 Marjorie's passion is color & texture utilizing fabrics & glass. Gary's is painting. She obtained an Associate’s Degree from The Art Institute of Fort Lauderdale, & her Teaching Artist Certificate from Arts for Learning, San Diego. Marjorie has been a proud member of the San Diego Silk Guild for 6 years. She has been painting silk for over 25 years & teaching adults & children for 5 years. She enjoys exploring color, patterns, & textures & creating wearable art, silk paintings, textile collage, stain glass, & recycled art. 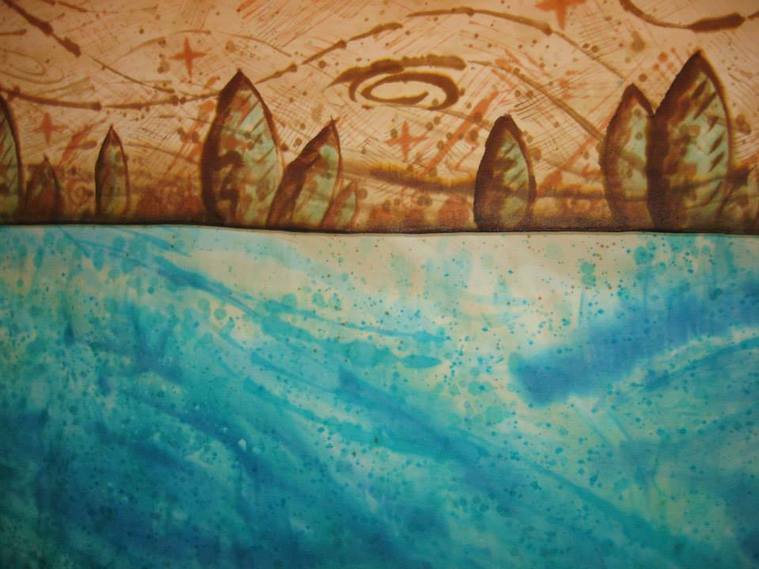 Marjorie’s work is influenced by her life experiences, & the fluidity of time & space are recurring themes for her. 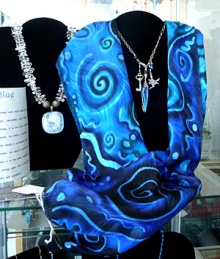 Marjorie's artistic contributions form part of a growing worldwide community to promote Ocean Awareness & Stewardship. the runway for Fashion Shows. website promoting environmental conservation & awareness. Marjorie’s work has been shown in galleries, boutiques, museums & museum gift shops over the years. Gary's paintings have been commissioned by many individuals & corporations. A large installation of his work was created for The Jenny Craig Corporate office in Carlsbad, CA.